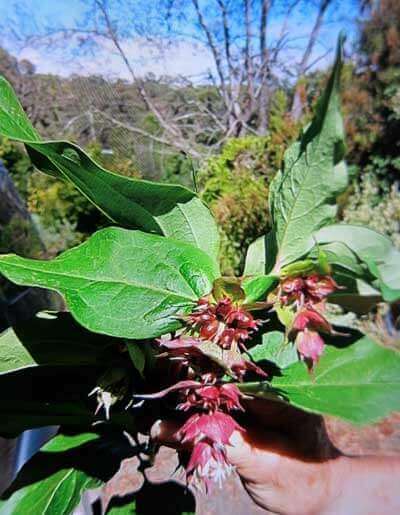 This is a large deciduous shrub with maroon and white bracts (as per photo). Following the bracts come black berries (not for human consumption). For those who want to attract birds into their gardens, this is an ideal shrub. Height 2 - 3m. Width 2 - 3m. Full sun or full shade.